Rise of Militias: A South Sudan Civil War in the Making? With less than 70 days left until southerners hoist a new national flag, the optimism in South Sudan of heralding a new beginning has been beset with the perennial problem of armed non-state actors. In Unity state, dealing with the cyclical violence since the April elections last year has become particularly foreboding for the southern government. Clashes in mid-March in Mayom county, which lies to the west of the state capital Bentiu, left more than 100 people dead and over 130 people wounded, according to official government reports. Although the militias loyal to Matthew Pul Jang, the renegade commander involved in the fighting, have largely fled toward Unity state’s border with South Kordofan, there are worrying signs now that this group of men, along with other militia leaders in the region, are using the downtime to replenish, re-arm, and regroup under a more structured force – thus ushering in a new chapter of the ongoing conflict. In another mid-April attack, rebels took over the town of Mankien and threatened to overrun Mayom’s county headquarters. Although the violence was largely targeted at SPLA forces, approximately 130 northern Sudanese oil workers in the region were forced to evacuate the region, an indication that the violence is expanding in scope. Rebel spokesperson Bol Gatkuoth claimed that this was simply the beginning. Peter Gatdet, a renegade commander who defected from the SPLA in March, is in Khartoum allegedly trying to harmonize activities across various militia groups in Unity state and Upper Nile state. Although this is not the first time he has shifted loyalties, the timing of this most recent mutiny is particularly ominous. In a manifesto titled the Mayom Declaration, released on April 11, Gatdet called for the overthrow of the current interim government and the formation of a new cabinet comprising all the different political parties in the South. As Enough colleague Amanda noted at the time of the manifesto’s release, their stated grievances include ineptitude of the SPLA under the current leadership, rampant corruption within government, lack of law and order, and a populace divided by tribalism and hindered by lack of development. Philip Biphen Machar, a Mayom native formerly in the police prisons service with aspirations of being in the SPLA. Gatluak Gai, a disgruntled militia leader from Koch who was denied the Koch county commissioner post and supported an independent candidate for governor in the 2010 elections. Kol Chary Nyang of Rubkona, a field commander alongside Matthew Pul Jang. Brigadier James Gaiwach from Rubkona, a high-ranking soldier in the northern army and thought to be well connected to the various southern militias involved in much of the strategic planning around their deployments. Tap Malual, a former speaker in the Unity state legislative assembly, allegedly assisting in developing the political wing of the renegade group. Karlo Kuol, a rebel from Guit county in Unity state, interested in a high rank in the SPLA. While the immediate challenge revolves around ending the ongoing waves of violence in Mayom county and dealing with the displaced communities, there is a very real concern that the hostilities may grow out of control; indeed efforts by the southern army to stem the violence have thus far proved indecisive. Peace overtures from the past, like the ceasefire agreement signed with George Athor, have become sources for discontent because of a lack of consensus around the finer details necessary for their successful implementation. 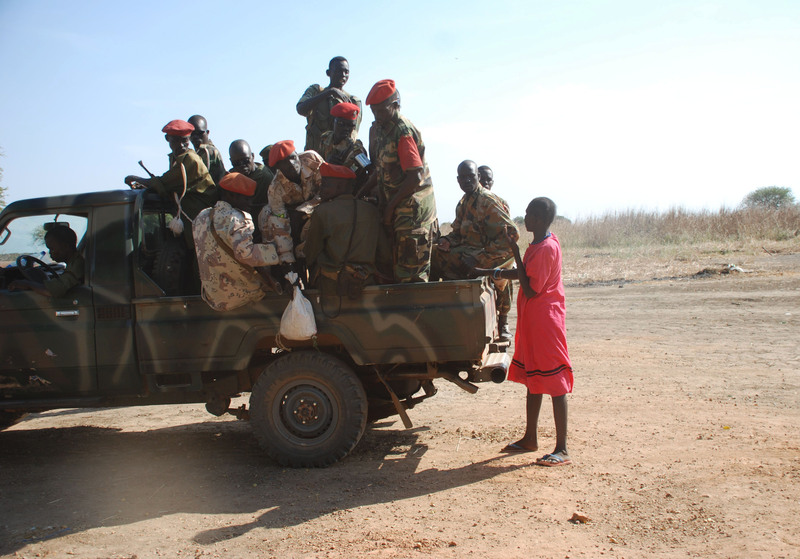 Instances in which the SPLA appeared to preemptively attack militias that had assembled to integrate—because of fears that the militias were not acting in good faith—has only fueled further mistrust. Certain characteristics of these mutinies will make them difficult to resolve. First, strong social, familial, and historical links between the militia leaders, their operational forces, the SPLA, and political elites at the state and national levels, and fractures within both the SPLM and SPLA, suggest that renegade elements may always serve as convenient spoilers for those vying for more power. Second, within these various groups – the militias, government, or SPLA – individuals act on agendas aimed at gaining personal benefit, politically and/or economically. There’s a case to be made that the southern government’s past efforts to integrate some rebel leaders has incentivized breaking away, since integration deals have proven lucrative. Finally, the prevalence of small arms, high unemployment among the youth, and competition over titles and territory become an explosive mix that serves to perpetuate the crisis.